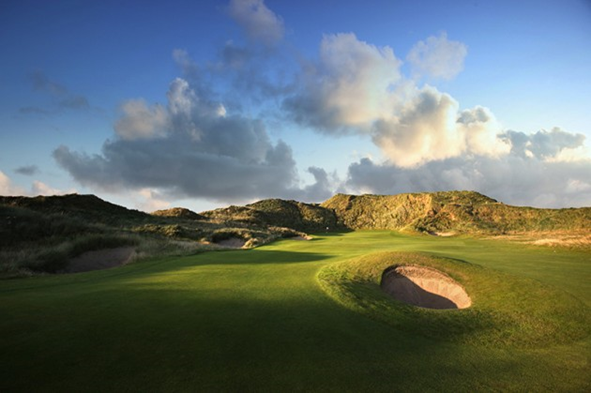 Designed by two-time British Open Champion Greg Norman, the world renowned 18 hole championship Doonbeg golf links course at Trump International Golf Links & Hotel™ Ireland (formerly the Lodge at Doonbeg), spans 1.5 miles of crescent shaped beach and century old sand dunes along Doughmore Bay. 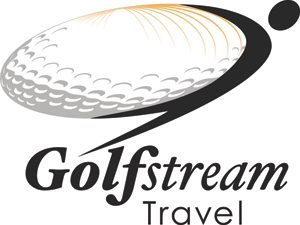 The course was officially opened in 2002 and immediately earned the prestigious title of Golf Digest's Best New International Course. In 2010, Trump International Doonbeg was awarded European Golf Resort of the Year by the International Association of Golf Tour Operators. The speed and direction of the wind cause consistent variation in play. However, to help players perfect their game, golf instruction is available for both individuals and groups throughout the year with our resident golf professional. Caddies, who are independently trained to expert international standards through our Caddie Program, are also available to significantly improve your pace-of-play, scoring, and overall experience. High quality golf merchandise and luxurious gift items can be purchased at the Golf Shop, which is located in the courtyard of Trump International Doonbeg. 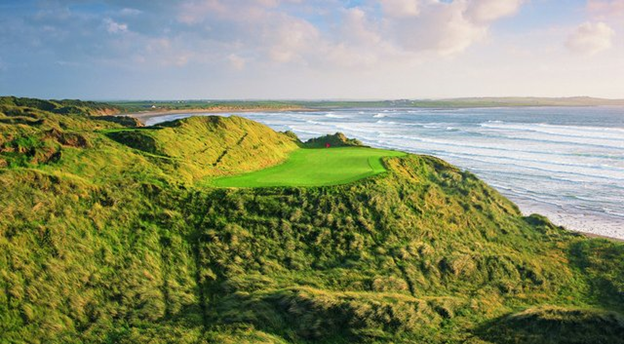 Offering views of the Atlantic from 16 of 18 holes, the Greg Norman-designed course at Trump International Golf Links Ireland is a stunning sight to behold. The average time taken for a round of golf is four hours and thirty minutes. The par-72 layout features a single loop of nine holes out and nine back, playing 6,885 yards from the back tees. In line with Norman's philosophy of ‘least disturbance', the most natural route was taken in laying the course out through the sand dunes. As a result, the course has a unique combination of five par 3s and five par 5s. Trump International Golf Links & Hotel Ireland (formerly the Lodge at Doonbeg) awaits travelers with spacious accommodations, fine amenities and discreet service. A trip to Doonbeg is an unparalleled opportunity to experience luxury accommodations set against a magnificent backdrop of rugged landscape, rolling waves and sand dunes with thousands of years of stories buried within them. Appealing to city-escapees, families and surfers as much as to the discerning golfer, the suites are uniquely crafted to ensure space, comfort and privacy. Trump Ireland's guests can enjoy the utmost in old-world luxury and refinement in suites beautifully appointed with curated furnishings, art, and antiques. At Trump International Golf Links & Hotel Ireland (formerly the Lodge at Doonbeg), the word "suite" has been opulently redefined. One of Europe's most distinguished five-star destinations, Trump International Golf Links & Hotel Ireland awaits travelers with spacious accommodations, fine amenities, and dedicated service and offers guests a wealth of attractions including world-class links golf, rejuvenating treatments from our renowned spa, acclaimed dining, as well as exciting sports and sightseeing offerings. A trip to Trump International Golf Links & Hotel Ireland is an unparalleled opportunity to savor the culture and people of Ireland. Suited to all visitors, including group travelers, our suites are uniquely crafted to ensure space, comfort, and privacy. Guests can count on the utmost in old-world luxury and refinement in our suites appointed with curated furnishings, art, and antiques. 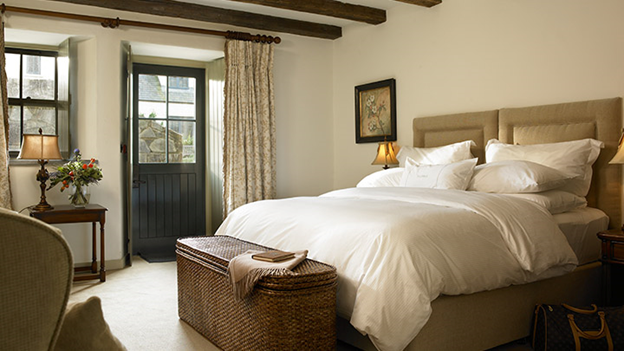 Furnished to an exceptional standard and outfitted with luxuriously comfortable 6x6ft king-sized beds, our Courtyard Rooms are simply exquisite. Come to the White Horses Spa at Trump International Golf Links & Hotel Ireland (formerly the Lodge at Doonbeg), and treat yourself to a little "me" time. At this luxury spa resort, located in beautiful Clare, Ireland, choose from an array of results-driven massages, body treatments, and a chic beauty parlour for facials, hair and nail services. As a premier spa in Ireland, White Horses Spa stocks internationally renowned products: Jane Iredale, Bumble and Bumble, Elemis and Voya for all your beauty needs. The treatments available at the White Horses Spa at Trump International Golf Links & Hotel Ireland (formerly the Lodge at Doonbeg) are designed to cater for all your needs. From those who want to relax and escape with a facial, to golfers in need of a post-round deep tissue massage, the Spa Menu at this 5 star spa resort in Ireland offers an extensive set of relaxing and rejuvenating services. The White Horses Spa uses the highly renowned and superior Elemis and Voya facial Products. experience and a range of products that not only heal the body but leave the skin silky smooth. Dining at Trump International Golf Links & Hotel Ireland (formerly the Lodge at Doonbeg) is a palate pleasing experience, ranging from the hearty fare served at the namesake Trump’s Bar & Restaurant to the cutting-edge fine cuisine offered by the Ocean View Restaurant. The diversity of atmosphere between these fine dining restaurants in Doonbeg, CO Clare means that we are capable of providing the ambience you are in search of. Situated looking out onto the Atlantic and across the 18th green, Trump's Bar & Restaurant rests at the core of Trump International Golf Links. This Doonbeg fine dining restaurant's atmospheric mixture of warm Irish ambience and New England panache makes for a place that welcomes guests and golfers alike. Gather around the fireside tables to indulge in hearty meals, and find comfort in pints of stout pulled to perfection at the upscale bar. The Ocean View Restaurant, which was voted "Best Hotel Restaurant in Ireland 2012" by the Restaurant Association of Ireland, matches exquisite dining with impeccable service. In a beautiful setting overlooking the Atlantic Ocean, visitors to the Ocean View Restaurant in Doonbeg, CO Clare can enjoy cuisine of a quality that is matched only by the high levels of attentiveness given to preparing it. Our dishes promise pleasure-inducing flavors that have been extracted from the best of local produce. The culinary experience at the Ocean View is accompanied by an extensive wine-list with sources from around the world. Our staff and sommelier will be delighted to talk you through wine options to compliment the meal you have chosen. All told, should you be looking for a romantic break, let The Ocean View Restaurant at Trump International Golf Links & Hotel provide the ultimate ocean front dining experience in County Clare. Stay in with a warm meal for a night of relaxation or continue your work productivity without interruption when your meal is brought to your door. A range of selections from our renowned Doonbeg, Ireland restaurants, luscious desserts, and choice wines, can be delivered to SERVICES & AMENITIES. 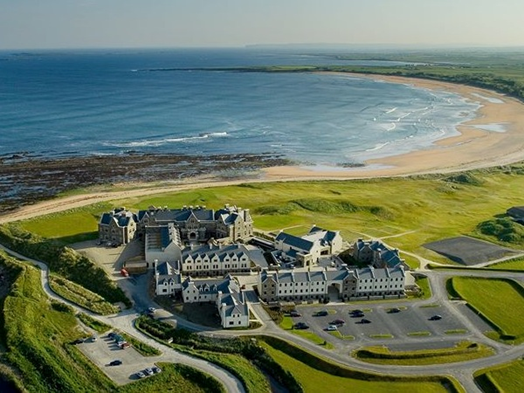 Trump International Golf Links & Hotel Ireland (formerly the Lodge at Doonbeg) offers guests a selection of 5 star services, as well as family and kid-friendly amenities. With fine dining, recreational activities such as golf spa services, and more, guests of this luxury resort in Southern Ireland can craft their ideal vacation. Close to the village of Doonbeg, out on the water's edge, sits one of Europe's most distinguished 5-star destinations, the Lodge at Doonbeg. 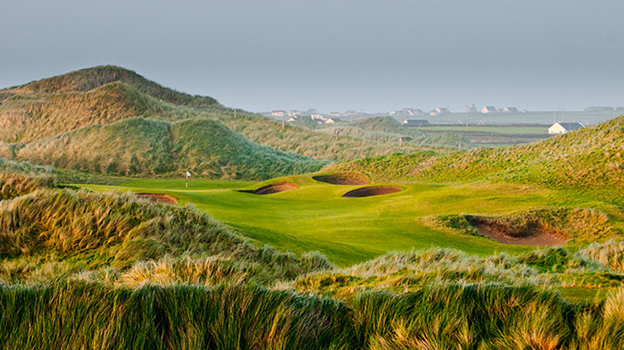 The spectacular property was recently purchased by the Trump Organization and has been renamed the Trump International Golf Links & Hotel Ireland. 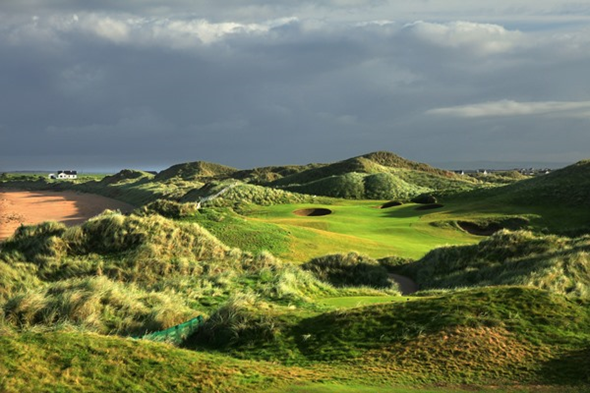 The acquisition, which was highly sought after by many major hotel and golf companies, marks the 16th golf club in the Trump golf portfolio and the first Trump Hotel Collection property in Ireland.